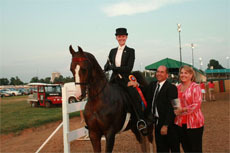 Ceil Wheeler and Pucker Up topped a huge Amateur Five-Gaited Championship at Lexington. 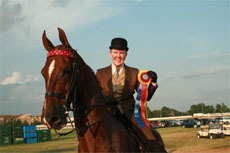 Buckles, Boots 'N Spurs and Kelly Cook were crowned 14-17 Three-Gaited Grand Champions under the direction of Randy Cates. 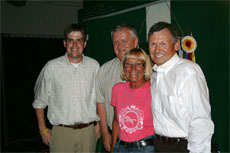 Jim and Fay Lowry with Emily Abbott and Stonecroft Nightlight, Amateur 3-Gaited Champions for Karrie Graham and Dwaine Kinderknecht. 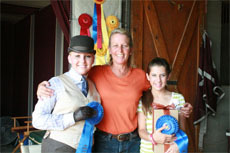 Sarah and Rob Byers with Theresa Vonderschmitt after Rob's Five-Gaited Championship win with Bravo Blue. 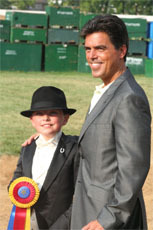 Scotty Brooks Bruggeworth with proud dad Scott after his Walk-and-Trot Equitation Championship win for DeLovely Farm. 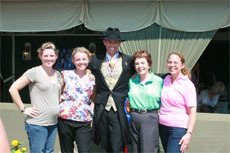 John Stutts celebrated his USEF Adult Saddle Seat Medal National Championship with the Zubrod Stables girls. 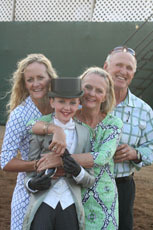 Kate Codeanne and Lynn and Rick McNamara with Molly Codeanne, 13-and-Under 3-Gaited Champion with Callaway's Born With Style. 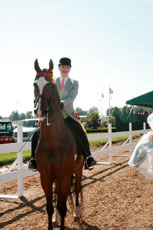 Erin Rae Beever was the Jr. Exhibitor Country Pleasure Champion with Star Sighting in her first year out of Academy. 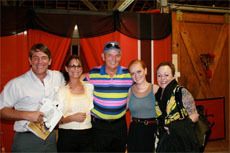 It was another good night on the Red Mile for Ruth Gimpel Stables, winning three classes on Wednesday. 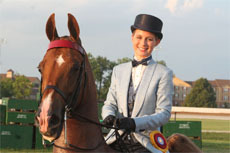 Allie Wellington with Mojo and Emma Sanchez with Lady Gabriella won blues today under the direction of Kim Cowart and West Wind. 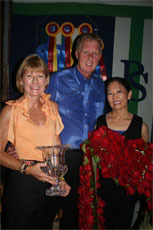 Chris Brannan, Larry Hartsock, and Bonnie and Merrill Murray celebrated Walterway's What About Me's Five-Gaited Mare win. 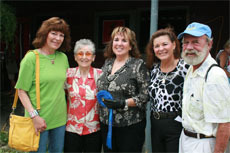 An ecstatic Debbie Seedorf Owens was greeted by her cheering section after her Pleasure Driving win with It's All About George. 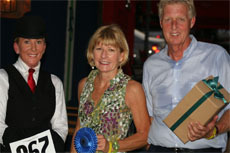 Mary Gaylord McClean and Sarah and Rob Byers after Mary's Ladies 5-Gaited win on Lynn Williams, her second blue of the night.